Is There A Worse Company Than Comcast? First, a confession. About 90% of what I post on here is bullsh*t (*=i). However, sometimes in life you are victimized to the point that you wonder if you have somehow ended up in a Monty Python skit. When this happens to me, one can invariably deduce with success that I have been forced to contact Comcast customer service. My TV service had been spotty and I had noticed that suddenly my bill had, once again, risen inexplicably. Below is my actual conversation with a Comcast service representative. Comcast Representative: (after ten minutes on hold. Hold, mind you, that did not have any music, or message, which led me to repeatedly check my phone to make sure it was actually still on) Thank you for calling Comcast, how can I help you. Me: Yes, my bill has gone up and I noticed that you are charging me for 2 DVRs at 8 dollars each. I only have one. Comcast: Okay well, our DVR price is $17.98 so you’re actually paying less than other people. Comcast: Our DVR price is $17.98. That hasn’t come to your area yet. So you’re paying less. Me: No I’m not, because I’m paying for 2 DVRs, when I only have one, in an area that still apparently charges 8 dollars each. 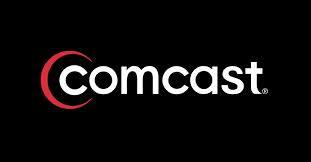 Comcast: Yes, well you should be glad you’re not paying $17.98. Me: I’m also not paying a million dollars for it. Just naming a higher price than the price I’m not happy that I’m paying doesn’t make me grateful to Comcast. Comcast: Well, that’s the price sir. Me: What’s the price? You’ve told me… Nevermind. Listen, I’m having problems with my service. It’s pixelating in the high definition channels and I need to talk to someone about that. Comcast: I can help you. Comcast: Turn on your TV. Now go to the wall input and loosen the coax cable a little bit. Comcast: Did that fix the problem? Comcast: Okay, loosen it a little bit more. Did that fix it. Comcast: Okay loosen it even more. Comcast: Did that fix the picture? Me: No, the cable is almost off. Comcast: Okay, completely disconnect the cable. Me: Yes, the cable works completely fine now that I’ve disconnected the cable. Comcast: Good, will there be anything else. Me: I’m being sarcastic! How possibly could disconnecting the cable fix the picture?! Me: That’s about 40 minutes from here. Comcast: Okay, we have one in Howell. Me: That’s twice as far. Comcast: Okay, we have a service center in Flint. Me: That’s not even in my region! Stop naming places that are farther and farther away! Are you suggesting that I drive, spend my gas money to replace something I’m renting from you and then repair it myself?? Comcast: Well, we could send someone out to you. Comcast: Okay, we have an appointment available tomorrow, what time would work? Me: Late morning or early afternoon. Comcast: Okay, we have an appointment between 7-9 am and 5 and 7pm. Me: Neither of those appointments are late morning or early afternoon. Something between noon and two would be perfect. Comcast: What about Thursday between 5 and 7. Me: No, that’s still not late morning or early afternoon, despite the fact that you changed the day. Comcast: Are you sure no one will be home at that time. Comcast: Friday between 7 and 9 am? Does that work. Me: No! That’s too early! Comcast: Okay we do have something Wednesday between noon and two if that would work? Me: Yes, thank you. Can you give me some sort of credit since my service hasn’t been working right. Comcast: We can only give you credit for today and tomorrow since that’s when you called. Comcast: Are you certain no one will be home Thursday between 5 and 7? Me: Yes! Why is that so hard to believe?! Comcast: Okay, someone will be out between noon and two on Wednesday. Is there anything else I can help you with? Comcast: Okay, I’m going to mark down that you are satisfied. Thank you for choosing Comcast. EPILOGUE: Definitely wasn’t a problem with the DVR box. Tim, I see that you live near Royal Oak, my home town. I currently live near Albuquerque, NM, and I’m having very similar problems with Comcast internet. I have to reboot several times a week – sometimes more than once a day. To my knowledge there is no known cure for “comcastitis”. If anyone discovers one (other than switching providers) please post it here. Love this piece…HATE Comcast. I don’t even bother calling them anymore. No matter what the problem is, I just unplug the box for 3 minutes and plug it back in…because that’s what they’re going to tell me to do anyway….after a wait time of like 20 minutes and a bunch of stupidity like you encountered. So, so painfully true. This is hilarious!